But when [Sam Storino] couldn’t seem to stop his cats from howling for their supper at 3:00 AM, he had the perfect opportunity to fulfill that age-old wisdom. Not only did he manage to turn a trip to the plumbing isle of his local home improvement store into a very Steampunk-looking automatic cat feeder, but he also found the time to write up an exceptionally detailed series of blog posts on what he learned during the process. The heart of the machine is everyone’s favorite Linux board, the Raspberry Pi. You might be thinking the Pi is overkill for a simple timer, and you’d be right. Rather than just dump the food out on a set schedule, [Sam] decided to get a little fancy and come up with some Python scripts that will monitor a GMail inbox and activate the feeder hardware when it receives an email with the title “feed cats”. He then uses IFTTT to send the appropriately named email to the GMail account of his cat feeder on a specific schedule. Hey, nobody said necessity was the mother of straightforward invention. In the final post of the series, [Sam] goes over the hardware side of the device. Copper pipe makes up the frame, which holds a commercial off-the-shelf dry food dispenser. 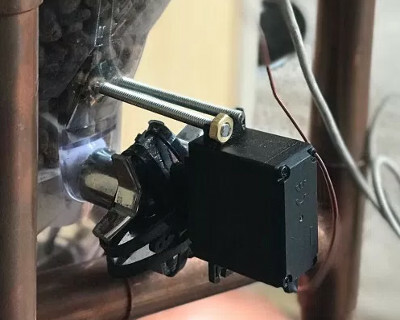 The feeder was designed for manual operation, but by attaching a continuous rotation servo [Sam] can spin it up and dump a pre-measured amount of food via the Pi’s GPIO pins. The addition of some PVC pipe and fittings takes the food and (at least in theory) divides it equally between the two cat bowls below. If you think [Sam] may have put a bit more thought than was necessary into something as simple as feeding his pets, keep in mind that he’s in exceptionally good company. Paging through the archives, it seems the intersection of felines and hackers is littered with gloriously complex contraptions. They’ll just order up in bulk from Petsmart, using your debit card. More worrisome is that unsecured white USB cable on the right, which seems to beg for being a cat toy, eventually unplugging the power to the Pi. This might result in the first known case of feline starvation because of cold pi. Or is it an ingenious method to get your cat to stop chewing wires??? Put wires in Legrand Wiremold over-surface wire raceway. ENT conduit is also cheap. 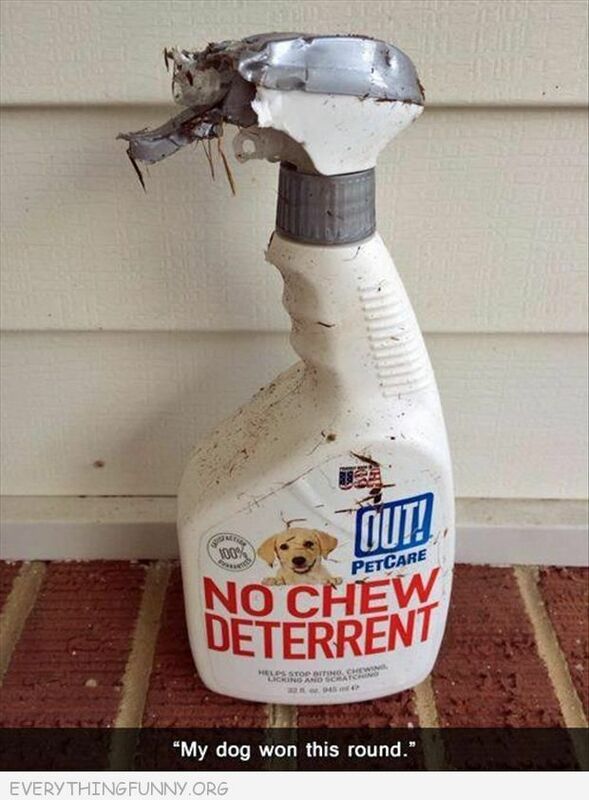 There is a spray that is made with a bettering agent (bitter apple) spray on the cable or just about anything you want to keep the cat or dog from chewing. Some versions are high-strength quinine – don’t get it on your hands and then eat a Christmas cookie. Or so I hear. I thought that was revenge. [Sam] says “I chose this route to avoid overly complicating the project” Had he put two 45 degree ends on each chute and made sure they were below or very close to the rim of the bowls he could then simply open the control valve, no PI needed. But then there would be no HaD project, and it would end up on AppropriateUseOfTime.com which none of us are members of. What!!?? Cats should ONLY be fed dry food. Dry food helps clean their teeth and exercises their jaw muscles. Wet food also gives them diarrhea if they eat too much. It just needs to be good quality dry food with a high protein content. You are dangerously misinformed. But don’t take my word for it–ask any vet that bothers to keep up to date with the science in their field and they’ll say the same. Dry food puts cats at risk for serious urinary problems that can even be fatal in male cats. Not true. For cats with certain medical conditions, it’s not as healthy. For cats that are healthy, there’s no issues whatsoever with feeding them dry food. The bigger issue is the huge ‘dead space’ in the collector that will fill with food that will spoil, and then occasionally mix with the fresh food when the fresh food impacts the pile of spoiled food. I hope he changes out the fitting for a proper Y. Also, these setups should be designed for regular cleaning. 1. Evenly distribute the food in both directions. The dispenser by default favors the pipe it spins toward, which was a dream come true for one cat while the other withered away (I kid!). To help the dispenser out I created a bidirectional “ramp” of sorts. 2. This cardboard cutout prevents anything from ever touching the middle dead space. Food dispenses directly to the elbows. Unfortunately at the time, I couldn’t get my hands on the double 90 degree elbow, so the double wye had to suffice. I appreciate the concerns/ feedback! For all cats, regardless of their health, dry food is suboptimal at best. Please talk to your vet if you have cats. Oh my, I feel bad for your cats if you have any. You shouldn’t, seeing as they’re fed a species-appropriate diet of raw animals. As someone who’s cat died because he refused we’re food or wet snacks, I have to disagree. A diet of ONLY dry food can cause urinary tract infectsions, stones and impacted bladder/colon. Quality of food of course helps, but I only fed him name brand foods. So you mean it’s bad of me to feed my cat this cement mix? and I should just add water? Cool, always looking for new protips, thanks! I mean I’d kickstart this. I’ve never understood feeding one’s cats dry food on a schedule. I’ve always just left it out in a gravity feeder and they help themselves whenever they want. None of the half dozen cats I’ve had over time have ever overeaten, and they don’t pester me because they’re hungry. I give them wet food too, but that’s on a schedule because it gets dry and crusty pretty fast if it sits. I’ve write a automatic firmware builder before, same as post, monitor with mail inbox, but as my experience, not all mail server imap service support all search criteria. I love automatic cat feeders! Keeps out cats from eating too much and they are great when you’re on vacation. 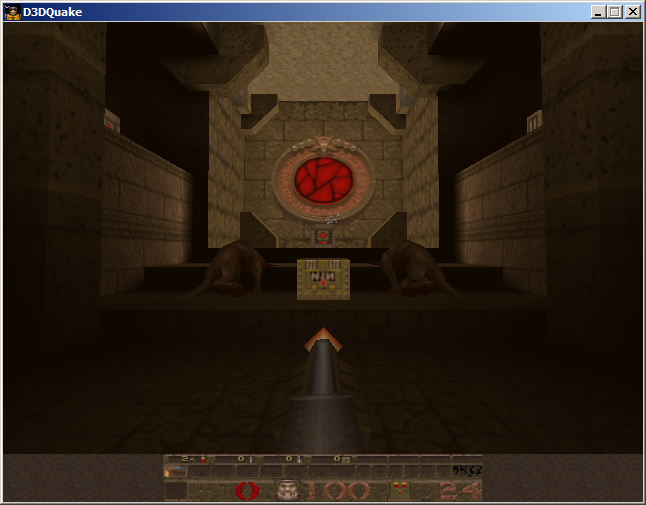 elder1943 liked pcbtc (GaN edition). Maurice wrote a comment on kicad StepUp: a Seamless ECAD MCAD Synchronization. Maurice has updated the project titled kicad StepUp: a Seamless ECAD MCAD Synchronization. Kaeipnos wrote a reply on A ridiculously big MIDI keyboard (121 keys). NobodyYouKnow liked Colock LED clock. NobodyYouKnow liked pcbtc (GaN edition). Guille wrote a reply on Big 7 segment display. Marcos Chaparro started following KiCad and FreeCAD Hack Chat. Kyle Oliver has added details to Bed Winch.